 NEWS 2019: Any hope for APC in Zamfara? 2019: Any hope for APC in Zamfara? Barely two weeks to the general election when political parties are crossing the T’s and dotting the I’s to cruise to victory in all states of the Federation, the ruling All Progressives Congress (APC) hope to win Zamfara State is almost dashed. This is as the Independent National Electoral Commission (INEC) has maintained its firm stand on not accepting APC candidates for the state despite legal fireworks, hence no candidate has been featured there on the final lists released for National Assembly, Governorship and State Houses of Assembly elections. Recalled that INEC had rejected APC candidates from Zamfara on account of non-compliance with the October 7, 2018 deadline for the conduct of party primaries. The Commission in a letter dated October 10, 2018 to APC titled: “Failure to Conduct Party Primaries in Zamfara State within the Stipulated Time Frame”, said it is not expecting any list of candidates from the party from Zamfara State. including Zamfara via your letter Ref. APC/NHDQ/ INEC/19/18/51 dated 3rd Oct. 2018. Section 87 and 31 of the Electoral Act 2010 (as amended), the commission does not expect that your party will submit names of any candidates from Zamfara State. “For clarity, our position is that the All Progressives Congress (APC) will not be fielding candidates for the governorship, National Assembly and State Assembly Elections in Zamfara State for the 2019 for the general election”. In a swift reaction, Adams Oshiomhole in a letter also dated October 10, 2018 disagreed with INEC that APC conducted primaries in Zamfara and prevailed on the Commission to capture party’s candidates for the 2019 for the 2019 polls. Oshiomhole explained that, following the high level of friction, disagreements and threats of violence by various political camps before the primaries, all the aspirants met at City King Hotel, Gusau, to find a truce. “Therefore, the claim in your letter under reference that “no primaries were conducted by your party in the state, notwithstanding that our officials were fully mobilised and deployed” could only be referring to their observation that actual voting did not take place, which is not the only mode prescribed for producing candidates in the Electoral Act, 2010 (as amended). We, therefore, affirm that indeed, primaries took place in Zamfara State, he said. 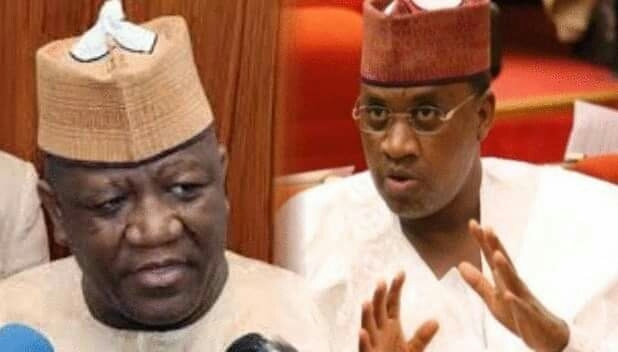 The Zamfara APC primaries were shrouded in controversies arising from face – off amobg Governor Abdulraziz Yari, Mansur Ali, Minister of Defence as well as Kabiru Marafa, Zamfara Central Senator factions and the Governor allegedly hijacked the primaries in which he secured Senatorial ticket and all his anointed candidates. State Houses of Assembly candidates. judgments were passed by High Courts in Gusau and Federal Capital Territory, FCT on APC primaries in Zamfara. of candidates from the Zamfara State chapter of the APC as it was not the fault of INEC that APC failed to conduct a valid primary within the period scheduled by the electoral body. meeting last Wednesday said the Commission, “maintained its original position that the party in question did not conduct primaries and therefore, in line with Section 87 of the Electoral Act 20l0 (as amended), is not eligible to field candidates for the National Assembly, Governorship and State Assembly elections in Zamfara State”. High Court in Gusau and the other from a Federal High Court in Abuja. “The Commission would like to reaffirm its commitment to obeying all court judgments, even when it disagrees with them. However, these are clearly two contradictory judgments delivered by two courts of coordinate jurisdiction on the same day”. Be that as it may, APC is hopeful that there are available legal means it will exploit to ensure that the party’s candidates from Zamfara contest the soon to be held polls. given conflicting judgments. We can understand that. What it thus means is that it is not over and we will continue to take steps. We are very certain, we did the right thing. “The primaries held, INEC was not satisfied with that but it is our right to field candidates and we would follow up all the legal means to ensure that our candidates stand for elections in this 2019 general elections in Zamfara. “It also shows for people who are discerning to ask that question, is this supposed to be the APC that INEC is or ought to be working for? And this is what we are going through in the hands of INEC that PDP has repeatedly claimed is put in place to rig elections for APC. You could go for indirect which is an electoral college, you could go with direct that allows every card carrying member of the party to vote for their chosen candidates and then thirdly, you go by consensus. We have the right under the constitution to exhaust these options. We did so”. High Court which favoured him and later condemned it but praised the one by the FCT High Court which serves his purpose. whether there were primaries or not in Zamfara state with INEC, even though we believed that we had undergone all the processes and today, God did it once again for us by giving us victory. outcome and we thank the department of justice and the judges who stood on their ground to ensure that justice is granted. “It is not too late. Some of us that were given opportunity or encouraged by the president to go and seek for justice some of them are still in court. So, this victory for today is not late. I can tell you in the entire Nigeria, Zamfara is one of the states that APC is sure of 90 percent”. “There are two judgments; one party has gone to court here in Abuja seeking that they should be given right to write names and submit to INEC and the judge said ‘what madness, what is the use of INEC?”, he stated. Contrarily, Marafa, who argued that the verdict of the Federal High Court should be respected by INEC, described that of the Zamfara High Court as a black market judgment. He threatened to approach the Appeal Court if INEC, which claimed to be studying the two judgments, decided to allow the APC to field candidates for the election. According to him, “Even if it means APC loses in Zamfara State, I don’t give a damn. After all, the crisis that we are in today started with the APC itself. “The governor (of Zamfara State) is going around whipping up sentiments that INEC should not accept the court judgment delivered in my favour because the APC would lose Zamfara if the party did not present candidates for the election”. Previous articleBREAKING!!! ASUU To Call Off Strike. SEE WHEN!